Opis: The discovery was there for the taking. An image of Uranus taken by Voyager 2 as it passed the giant planet 13 years ago apparently recorded a moon that had since gone unnoticed. 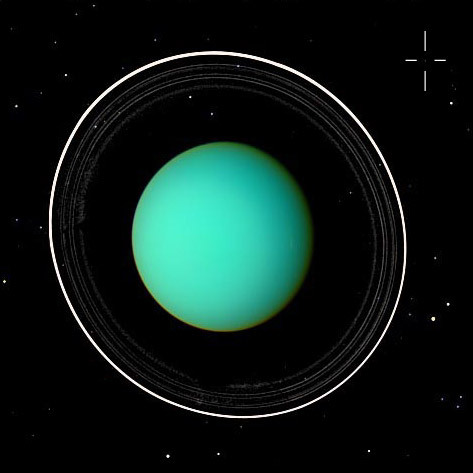 The image on which Uranus' 18th moon was discovered was freely available from NASA. Erich Karkoschka (U. Arizona) noticed the moon when comparing a 1986 photo to a recent one taken by the Hubble Space Telescope. The newly identified moon is hard to see but marked in the above photograph. Also visible are many other Uranian moons and background stars. 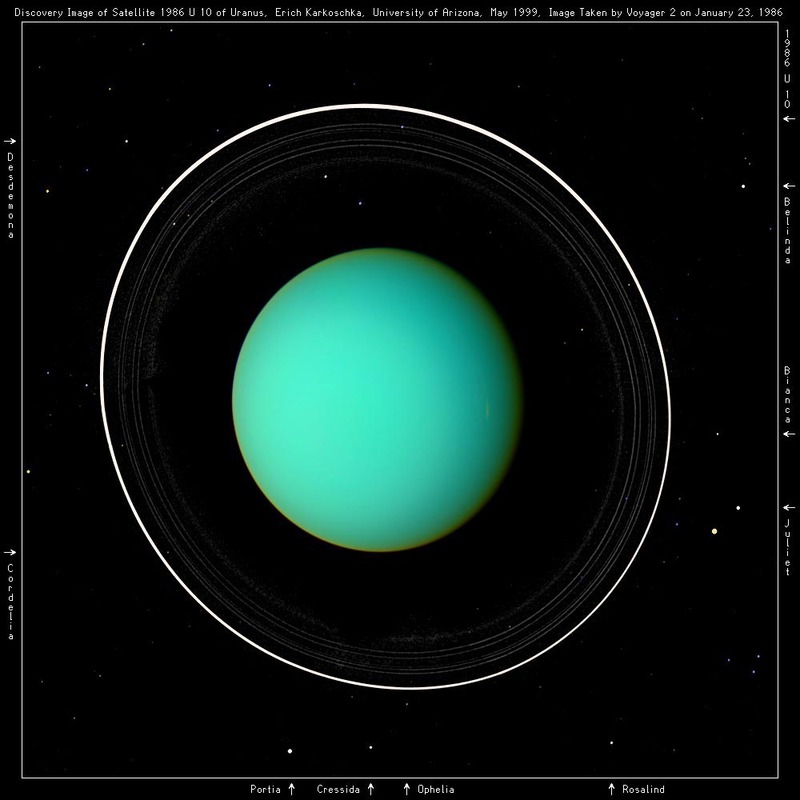 The moon is the 18th known around Uranus, tying it with Saturn for the most around any planet.